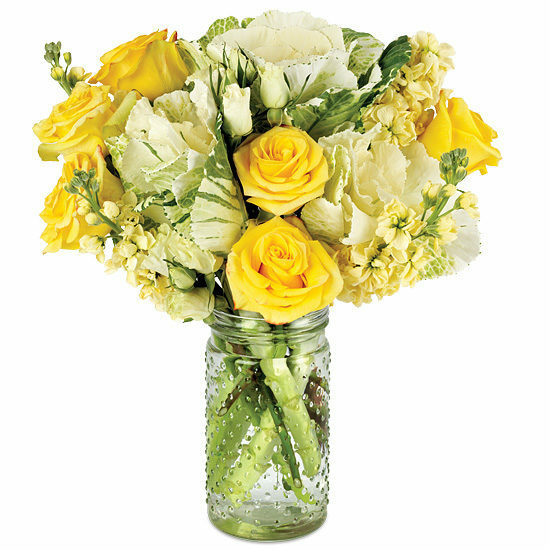 Inspiring brighter days and glowing smiles, this bouquet appears to be infused with the essence of sunshine. 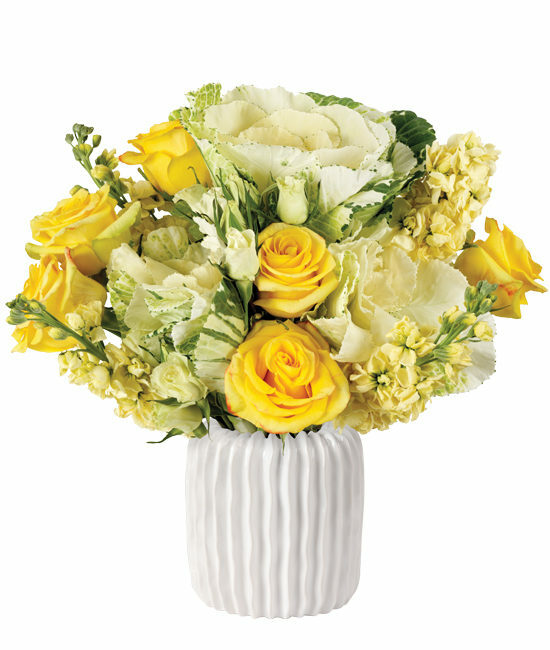 Thoughtfully designed for all occasions – from get-well to just-because, it showcases High and Yellow Magic Roses; green and White Ornamental Kale and Brilliant Star White spray roses. 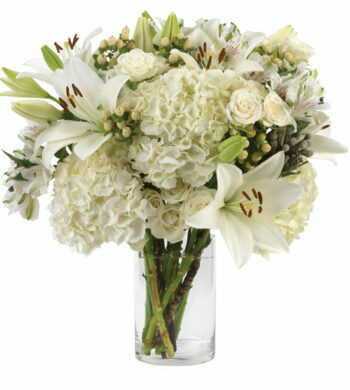 For a subtle, sweet fragrance, we’ve also added cream-colored, double-bloom stock. Displayed in a ridged white ceramic vase with great design. Remove all foliage that will fall below the water line. Remove the “guard petal” from each rose – this is the outermost petal left on to protect the bud during shipment. We recommend cutting all stems underwater for best results. 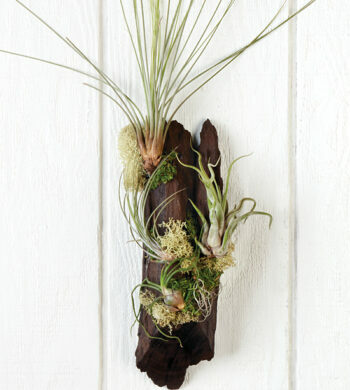 Some varieties of flowers like stock may look a bit tired upon arrival. Don’t despair! They’re healthy – just thirsty. They will rehydrate and perk up within 24 hours. Add fresh water daily. Change water, clean container and recut stems every other day.